Have you been searching for a radiator repair service that provides a quick turnaround time with the highest quality repairs? How about friendly, personal staff who prioritize customer service and spend time fully explaining your auto care options without any confusing jargon? Meet Bender’s Auto Care, a family-run full-service auto care shop in Covina CA that’s dedicated to consistently providing superior service and repairs. With over 40 years’ extensive experience in auto care and some of the most skillful service technicians in the area, we take pride in our work and guarantee that you can be sure we’ll always do the job right the first time. If your car, truck or SUV is overheating, it’s important to contact us as soon as possible for radiator service. Our skilled technicians will quickly diagnose the issue and in most cases will be able to offer same day service! If your radiator leak repair is more extensive and will take longer, we’ll help you arrange a rental car at a discounted price. We also offer a convenient shuttle service, so you’ll never have to worry about arranging for friends or family to pick you up. Not only are we the leading radiator repair shop in Covina CA, but we also offer comprehensive auto care to keep your vehicle looking and running it’s very best. 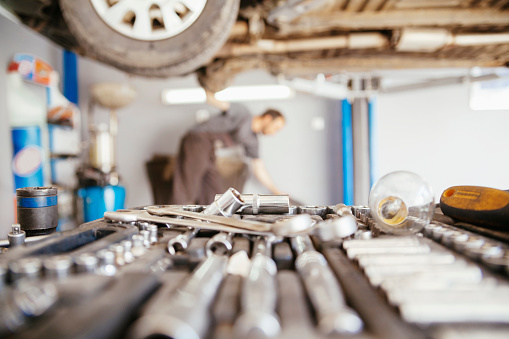 Our expert ASE Certified Technicians are fully capable of handling any of your auto needs, including general maintenance, wheel alignment, a full range of repairs, and even restoration services! When you’re looking for the friendliest auto care shop that’s dedicated to providing the highest level of service available, give us a call at 626-332-3022 or contact us through our online form to request an appointment!